Super6 = 40% Anniversary Sale + $3,300 Worth Giveaway + 50% Affiliate Commissions! 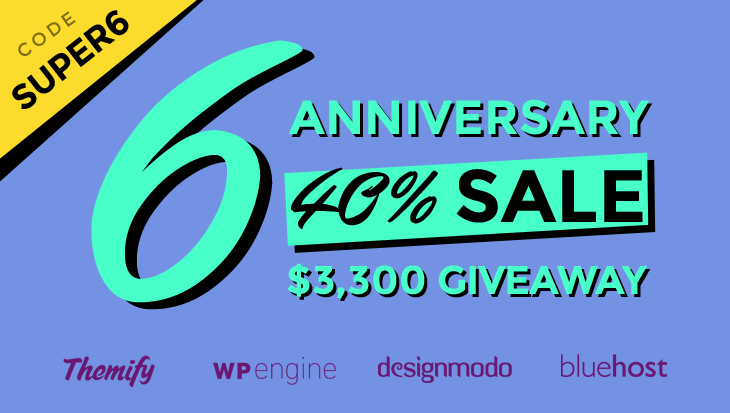 We're proud to celebrate six amazing years of providing all of you with premium WordPress themes and plugins. Looking back when we only had 4 themes, it's amazing to see how far we've now come with over 54+ themes, 7 plugins, 22 Builder addons, 4 PTB addons, and over 60,000+ users. All of this would not have been possible without all of your support, which is why for this year's anniversary, we're giving all of you a super 40% sale on all themes, plugins, addons, and even Club memberships (exclude Lifetime Master Club) by using the coupon code SUPER6. And for those who want lifetime access to all our products, support and updates, you can get a $100 off the Lifetime Master Club membership with the code SUPERLIFE. 3 Winners = $3,300 Prize Package Giveaway! Note: The plus plan will not include a free domain. Affiliate 50% Commission - Easily Earn $150 Per Sale! Together with the sale and giveaway, we are also bumping our affiliate commission to 50% during the promotion week. Here's an example of how you can earn easily; let's say you refer someone to purchase a Lifetime Master Club at $299. With 50% referral, you'll get a commission of $150! We are expecting higher conversion because of the big sale, so don't miss this opportunity to earn fast cash. Anyone is welcome to promote and earn. Just make sure to use the tracking link found in your member area and follow the rules outlined on our Affiliate page. If you are not a Themify member yet, sign up an affiliate account and get your own tracking code. Note: The sale, giveaway, and the increased affiliate commission rate ends on August 22, 2016 at 11:59pm EST. Good Luck & Happy Anniversary Everyone! This looks like a great selection of product you guys have an awesome tool. Chris it is a great suite – highly recommended!! I’ve tried dozens of other themes, and none of them are as simple and easy to use as Themify! I recommend it to all my clients! Wow really cool give Away i like our themes!!! You guys make amazing themes that allow for great customization! I’m excited about this giveaway. I am the Director of a Ugandan non-profit Health Access Connect https://healthaccessconnect.org. I also work on websites for Ugandan and US non-profits, which allows me to earn a little income to support myself. I love Themify and Designmodo stuff! It allows me to focus on content without spending too much time on coding. I can then spend more time doing field work in remote villages and working to fundraise so that we can succeed. I would really love to have a lifetime membership. I’ve wanted it for a while, but I’ve been worried about the expense since we’re still in the startup/growth phase of our nonprofit, and I don’t have a steady income. Thanks for giving a chance to win your awesome product :) Lifetime Master Club ! 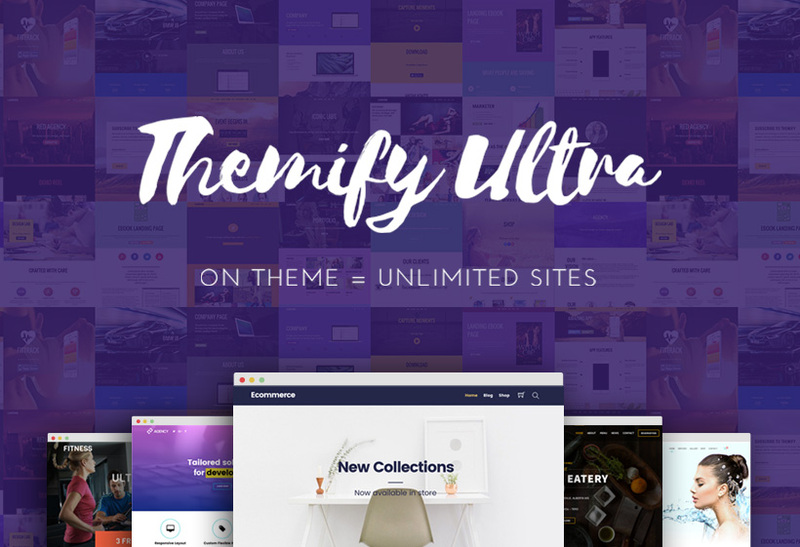 Themify offers great themes and plugins. It would be great to win this package, but if I don’t I am still using Themify to make awesome websites. Nice news! I like Themify very much – especially Split Theme! Love the framework since I’ve been using it the past month or so. Thanks for a great product! I have many happy clients using your themes. Thank you! Congratulations by 6 years of achievement and success. This promotion is “great”, as well as the positive ROI that we get with our sites when using your themes and plugins. Thanks for the great theme! I’m just using one, but I’d love to try out the other products, too! :-) Happy Monday! Themify is such a robust framework. Love the builder! Tried to share on Facebook but the page comes up as not found. Apologies for the inconvenience. We’ve now fixed this issue. Thank you for your patience. Been using Themify themes for over 7 years. A great value with great features. LOVE themify! Super easy to use and I get compliments on my website all the time! Great set of prizes — winning anyone of them would be great. However, in my heart of hearts, I’d really like to win the Themify Lifetime Master Club because the WP themes, page builder and plugins are simply the best. I had used your themes in the past, would love to win the membership. I’d love to win the Lifetime Master Club. I have built 5 sites using themify. Themify is always keeping up with latest trends. I’m one of your affiliates. Winning the prize will give me the tools I need to be successful in my business ventures – one of which is promoting Themify’s WP themes. Love that you have continued to evolve and improve your products. Every time I turn around there are new, helpful features. Keep driving forward! A- you have some of the most innovative and versatile themes (I’ve used Ultra now on 3 different clients local business sites) on the market. B- your support is pretty amazing even with the fact that you get literally 100’s of forum requests daily. D- you are always bringing something new to the table whether it be Builder Add-ons or new themes… keeping it FRESH! E- I am a HUGE fan of Themify.me and all they offer! That pretty much sums up why I think I should definitely be in the running to win one of these amazing prizes! I love using Ultra for my site. Looks wonderful and I’m always discovering new ways to make my layouts look even better! Wow, or better WOW !!! Even each part of this big price is a great win. Using Themify is for me already a win/win situation, since I can create great sites as I want to have them. Eh…what did you say? Themify Lifetime Master Club?? To win? In that case, it will be win/win/win for me and my sites? I will show everybody, that I’m using the greatest themes in the world…. I’m a web designer who uses Themify products for myself and my clients. I would love to give the new products and services a try (from all companies listed)! Thanks for the opportunity! I were a Themify member and I love it. 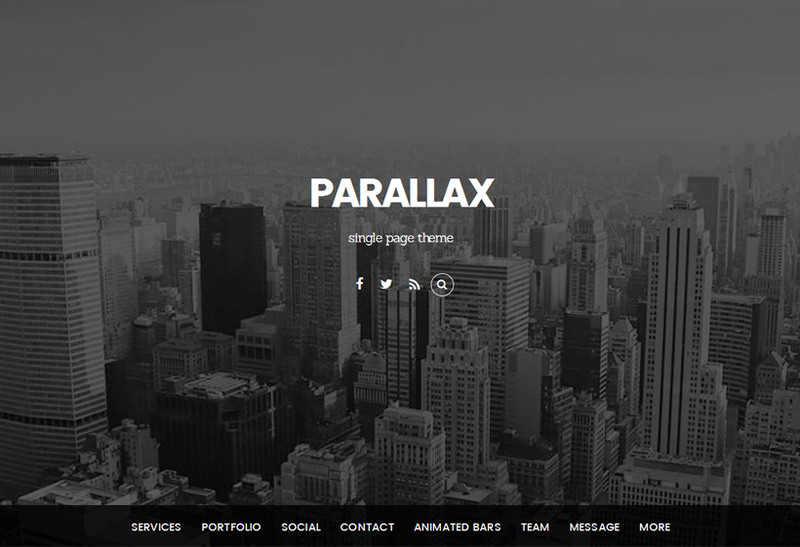 As a Graphic Designer, themes really help on constructing websites. And all the giveaway is super cool. Themify has great support and great value themes. Themify is great. I have been a subscriber for two years in the past and would love to win this! Definitively a great giveaway. The Lifetime Club would allow me to try all your themes and plugins, specially the drag & drop Builder :). I love everything from Themify but I don’t have enough money to buy all of them! Please let me WIN the prizes!!! Wow!!! It’s really cool and awesome. I’m never thought Themify will host this is biggest giveaway yet. I will waiting for this great chances. I would love to win this giveaway because I am new to blogging and designing a website and all these amazing resources would be perfect!!! Congratulations on the 6th anniversary and all the best for the next six years of business! Keep up the great work. I’m a web designer and a blogger. So, I will use Themify products for myself and my clients. Thanks very much! Happy Anniversary to team Themify. Hope you keep releasing good themes and plugins. All the best for the sale and participants of this giveaway. Always a blast working with your products. Congrats Themify for completing six years. Happy birthday themify, you make awesome themes! This peize would fit really perfect with some new projects of mine! Got my eye on that Lifetime Master Club :) Congrats to Themify on your Anniversary! This is awesome! I left my job after a long career in the police to pursue my new found passion for web design and it’s all thanks to Themify for making this profession accessible to me! So far I am working with 6 clients! This giveaway would help me massively in helping me develop in my new career. Thanks Themify! A special thanks goes out to Kurt who helped me realize after a gazillion questions that Themify is the right choice for me. Among all the other page builders, Themify wins by a landslide. No bloat, no lag. Just a suite of great products wrapped up in one Themify-tastic website! Don’t know which one to choose? Start with Themify Builder plugin and the Post Type Builder plugin. Those two will be the core plugins on any site you build. Need some more power? Buy the add-on bundles to impress your client on those super-duper websites. Time is of the essence? Get the Developer package with all the themes you’ll ever need. Upgrade to the Master Club to make sure you have all the tools at your fingertips. Make it a career – join the Lifetime Master Club and never worry about expiring theme and plugin updates. Always the latest, always the safest. Whatever you choose, you’re choice is the right one with Themify! i’m a newbie in web design and I’m trying to make something. this is one of my favorite plugin, my friend has themify plugin and i found it very useful and neccessary. If I win the prizw, it would be really nice for me. Absolutely love the builder! Would love to try all the themes and all the other services. I can think of so many things I could do if I won this giveaway. Whoever gets it is gonna score. Best of luck to everyone! I Love Themify. Themes, Plugins, Builder and all other stuff is very helpful for me. Want to start my own company and want a really good looking a custom website, thanks!! Just discover today when only few hours left. Wish I would’ve known it before. Personally, I love Themify themes, plugins, and builders! It is also very versatile, professional and pretty easy to use! Congratulations on your anniversary Themify. ? I want to win :) cause you are awesome and I am too…. Hello, i would love to win! Cause its makes an ordinary person a designer + developer relatively quickly, without spending much money. I’d love to win too! I love this Themes and the quick response of the members in the support part. Great work and happy birhday…. So hope the luck is on my side…. Excellent giveaway! Nice package for us graphic designers :) Would also love to win. I don’t really know why I should win over others. But all I can say is that I would like the prizes that you are giving away, so here is my entry to make a chance on the great prizes!! I am just 1 year in freelance business as a webdeveloper and I am loving it! Anyway: congrats on your anniversary and keep up the good work!! Thanks for the giveaways and I love your themes! The Themify framework is the best out there. Congratulations for your sixth anniversary! I’ve been using themify for a while now, Amazing tools I dont use any other wordpress templates. Really a great solution and the customer service area is very responsive. Themify is my favorite and Thank you ‘Themify’ for the excellent giveaway. Would love to win! Congratulations on 6 years anniversary celebrations! Love the Themify Support Forums! Great products for both beginners and advanced WordPress users. I’m a fan for life! Gotta have that lifetime membership! Themify has all the themes to help me realise my internet dreams! Always easy to use and never a slog, I recommend Themify to everyone who wants an awesome blog! 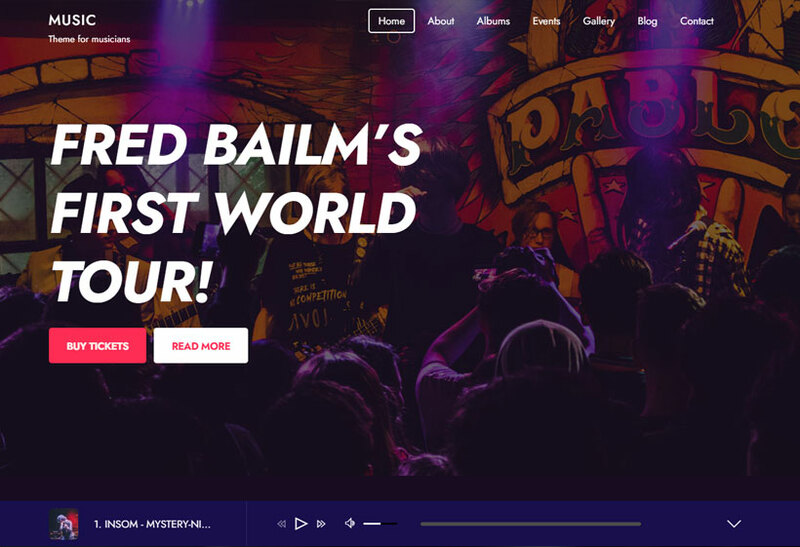 I have no idea what I am doing but I need a wordpress site so I am excited to try a product that looks like even a knucklehead like myself can knock out. I’ve tried a few of the WYSIWYG sites but they should be called POS if you know what I mean. Thanks and I look forward to learning how awesome this product is. You have great tools and Themes! thanks for the great deal! hoping for the lifetime win! Any word on when the winner will be announced? Chances are slim that it’s me but you never know! I guess I’ll just have to stump up the moolah to buy at full price since I didn’t win and the promo codes no longer work. I don’t know such contest or giveaway winners are based on truth or it’s just a practice to market product…I tried to check due diligence of this…I notice that the mentioned winners are nowhere among 100 comments…as a part of winning this giveaway commenting was a part among other steps…. people shared, commented n also shared their likelihood to Themify themes…. yet none of the winner is from these comments!!! Why not chose a winner from the highest points??? Please explain if any other criteria is count here… People will loose trust if these way customers/ followe are fooled. I request not to delete this comment and better to be replied to avoid the further spread of negative review is done elsewhere beyond this post. Thanks. Secondly, what I have personally observed in last couple of giveaways ran (not just Themify) through raffle copter platform is that it gives more weightage to newly subscribed users/followers while choosing random winners and therefore helps increase user base? Again that is just my personal view on raffle copter and has nothing to do with Themify’s loyalty. Themify is in a league of its own…you guys rock! I wanna make a website to sell my products (Electric equipments). Should i use Themify? 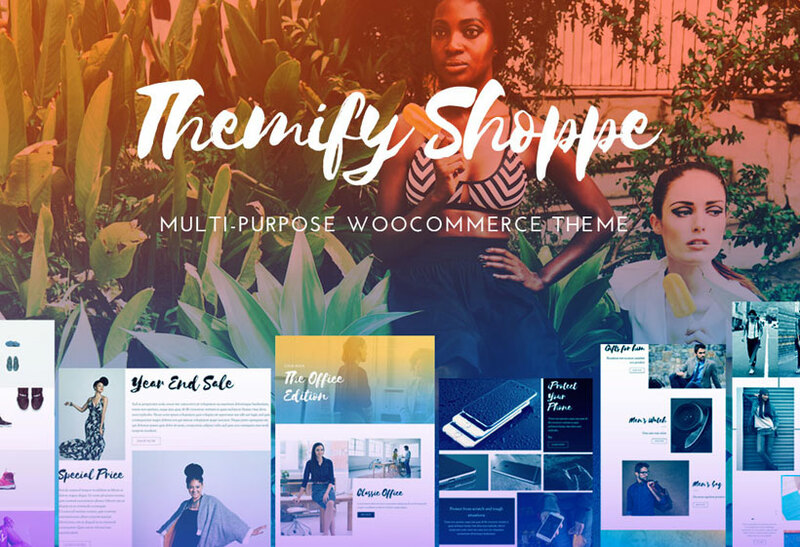 You should :) Check out our new Shoppe theme to showcase your products here – https://themify.me/themes/shoppe. Let us know if you like it! This would be awesome for me to help my home business get rocking! I want to sell electronics at Themify. Is the procedure fast? Yes, this is possible and pretty simple :) Send us an email us here – https://themify.me/contact and we’ll provide you with support.